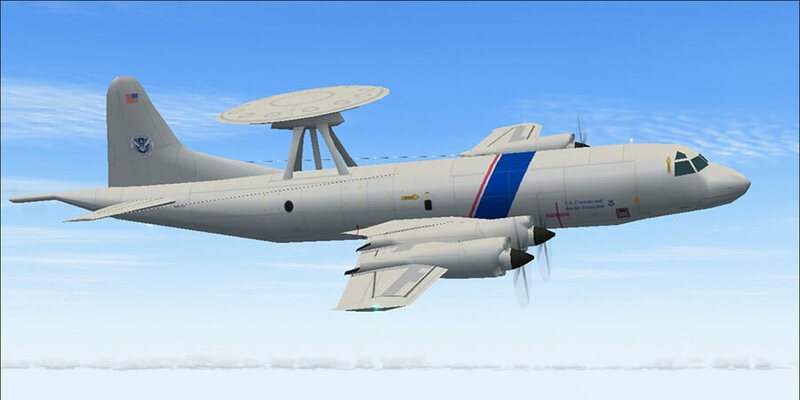 We're nearing the end of our tenth anniversary release spree with another package from talented Brent Newman, this time bringing Cecil Field in Florida to your flight simulator. After a short delay, we're proud to announce part seven of our ten tenth anniversary releases. 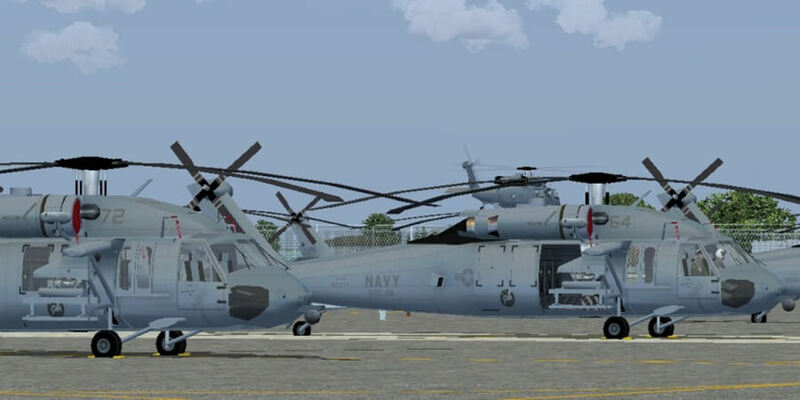 This package produced by Desmond Burrell and MAIW brings the US Navy MH-60S Seahawks at NS Norfolk to your flight simulator! 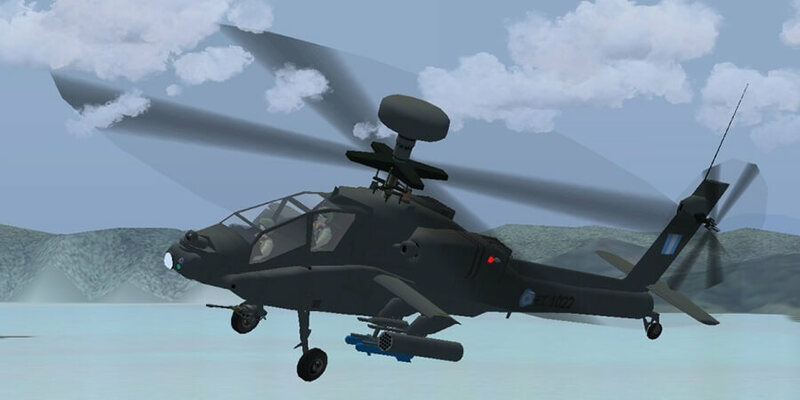 We head to mainland Europe for package number six in our ten part anniversary release spree with another package from Gary Barker: the Hellenic Army Helicopters. 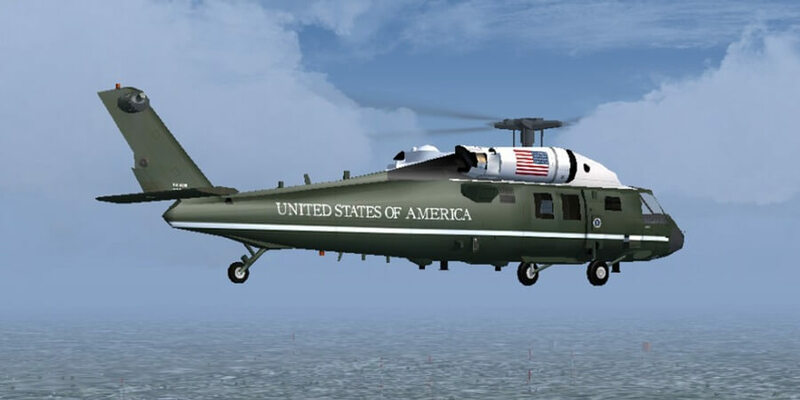 Part five of our Ten for Ten releases brings another package managed by Brent Newman and the last one of the series including the new JYAI V-22 Osprey model: the United States Marine Corps HMX-1 Presidential Flight. 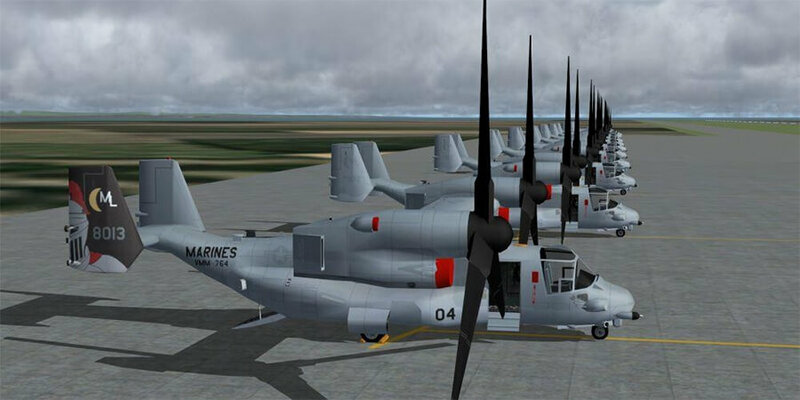 We continue our tenth anniversary release spree with more USMC Ospreys using the brand new JYAI V-22 model. This package takes us back to beautiful Japan with the MV-22Bs based at MCAS Futenma, designed by Brent Newman and John Young. We continue John Young's amazing new AI V-22 Osprey series with the MV-22B's of the United States Marine Corps based at MCAS Miramar and Yuma. This is part three of our tenth anniversary celebrations. 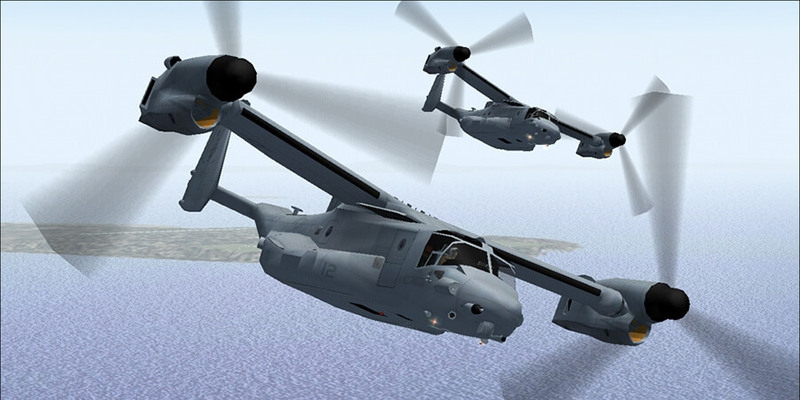 Part two of our tenth anniversary releases premieres one of the most anticipated models ever: the V-22 Osprey. 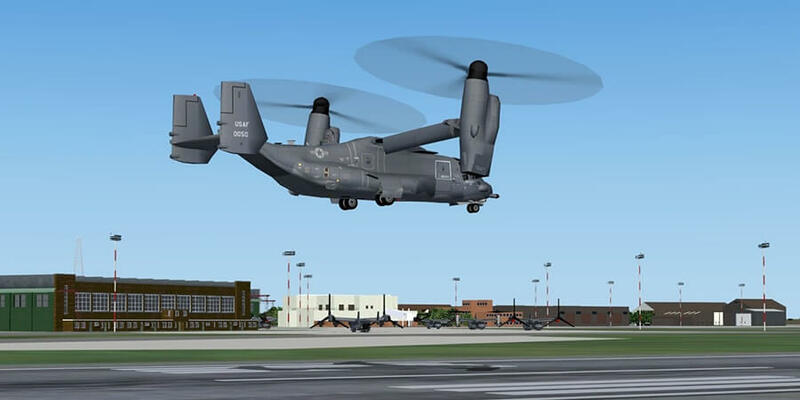 This package depicts the USAF CV-22B's stationed at RAF Mildenhall, UK. We celebrate the tenth anniversary of Military AI Works with no less than ten (how appropriate) packages all released during this month. 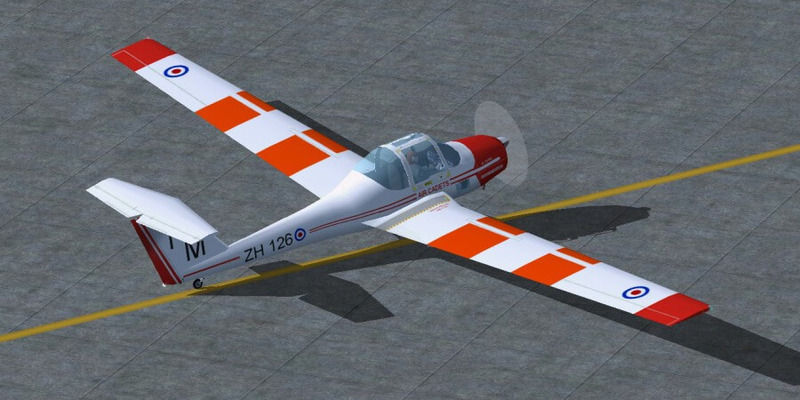 Our first of ten gifts for you is a package from Gary Barker who has been a part of our team from the very beginning: the 632 Volunteer Gliding Squadron at RAF Ternhill!